Last January, I had the chance to fish the beautiful rivers that are formed in the mountains between Thailand and Burma (or Myanmar). 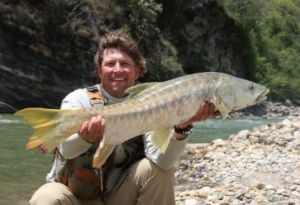 I was there with guide Bobby Kaotakul in search of the famed Mahseer. During those days, we targeted these wary cyprinids in crystal-clear waters that are surrounded by a dense jungle. 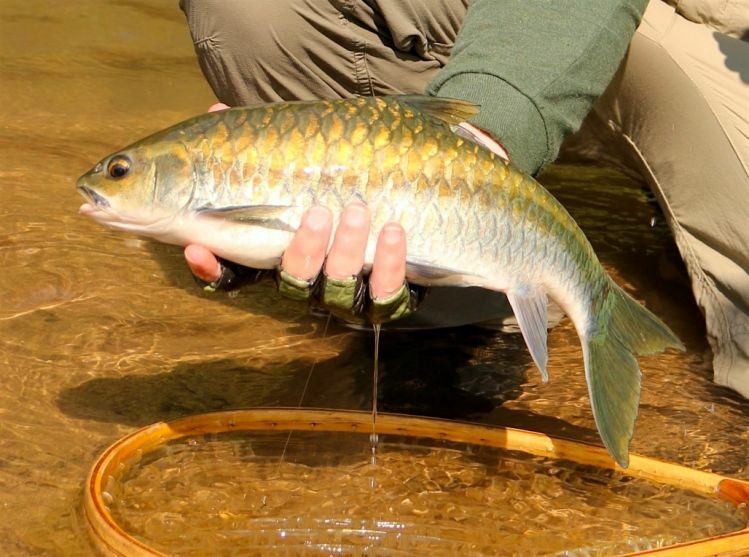 The rivers are very similar to trout streams in structure; but the landscape, the sounds of birds and animals that only exist in Southeast Asia, and -of course- the Mahseer, make the whole experience absolutely unique. We were using 3 to 6-weight rods, thick tippet, classic trout nymphs, flies imitating small fruits, and some streamers too. The takes and the fights were vicious, and many times we ended up running downstream in order to net the Mahseer fatties. We also caught some of the beautiful Burmese Trout which, even if they don't grow to be huge, they were definitely great fun and an interesting catch to add to the species list. Here are some pictures from those unforgettable days in Northern Thailand. It is definitely an adventure worth living.